An event dedicated to VW MK2 Jetta and Golf only ! 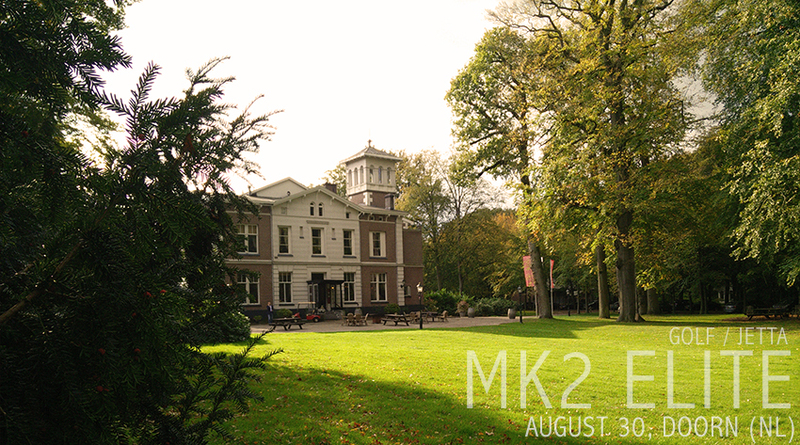 The location for the second edition of MK2 Elite is again at the central part of the Netherlands, near Utrecht. “Jachthuis Doorn” is a historcial and small castle with a nice property in the woods. A quite and peacefull surrounding for the event. 600 MK2s can be parked on site with several line-ups as Rallye, Editions, Syncro, GTI, G60s and offcourse the Country. A part on the area is also reserved to sell MK2 parts. So bring them over! It’s free. The event starts on saturday with a pre-meet at the Hotel nearby. An MK2 friendly Hotel with wash facility for your Golf/Jetta also. From 10h on sunday, al MK2s are welcome at “Jachthuis Beukenrode” Doorn, Beukenrodelaan 2 – 3941 ZP Doorn. There is a line-up with pre-registration for Golf Rallye, Golf Country, Editions, Golf Limited, GTI, GTD and G60s. (600 cars can be parked onsite, so only the line-ups need to be pre-registered). Not only “lowered” MK2s allowed, also originals and/or restauration projects welcome!